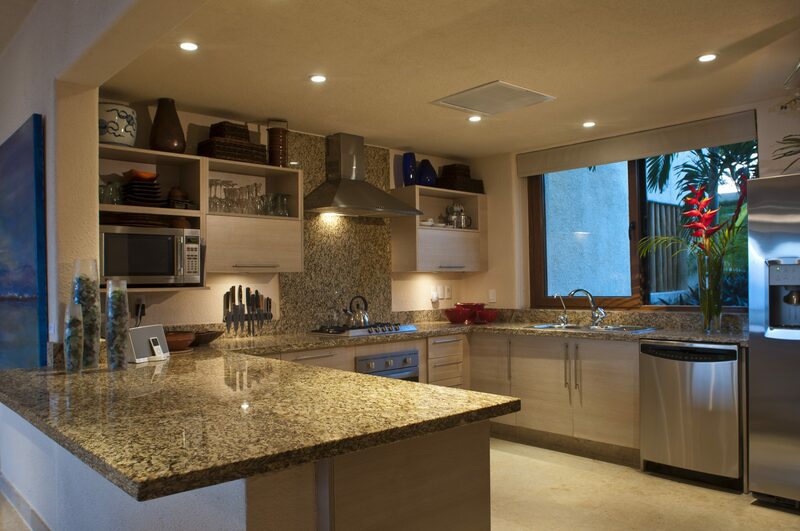 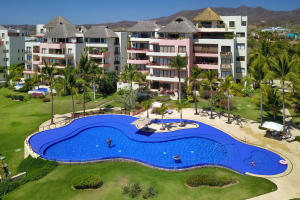 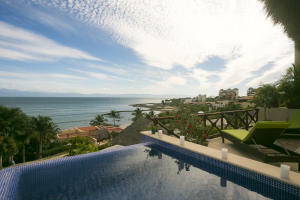 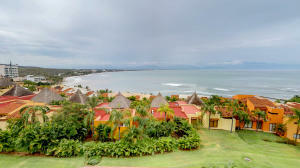 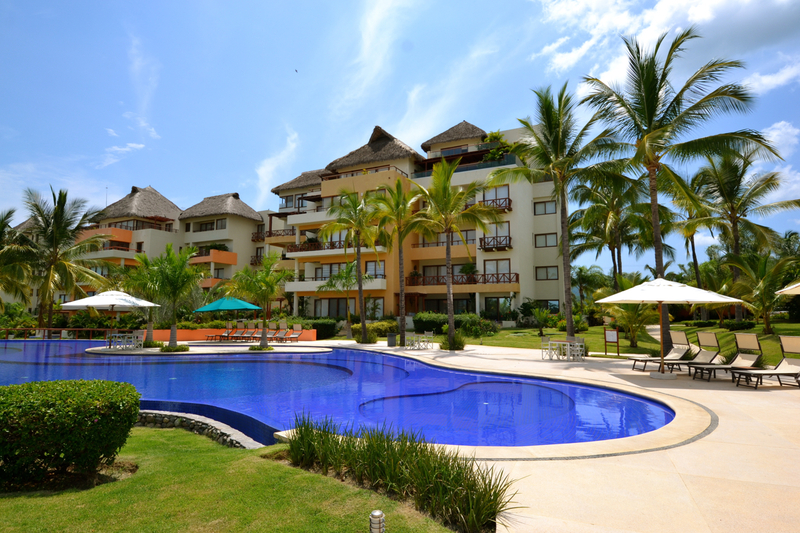 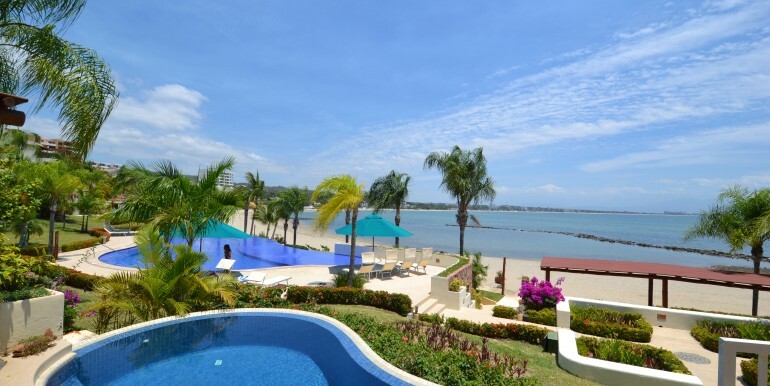 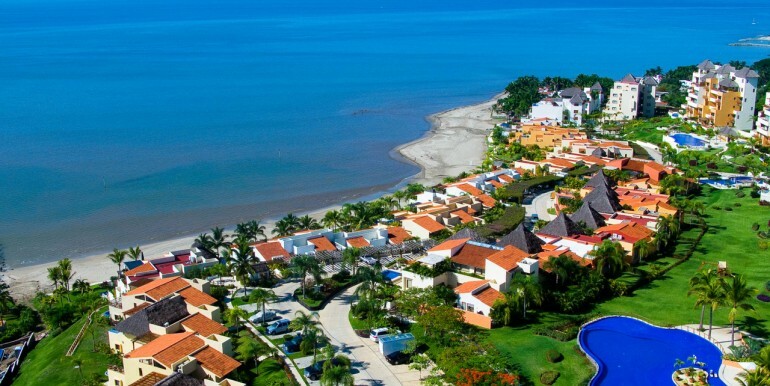 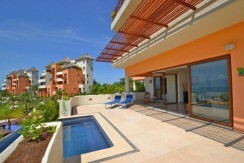 In a prime beachfront oasis, the luxury, full-ownership residences of Punta Esmeralda are an impressive blend of villas, terraced semi-detached townhouses and low-rise condominiums, integrated into a cascading terrain of artful gardens that lands at the sea with an unparalleled 1,500 feet of beach frontage. 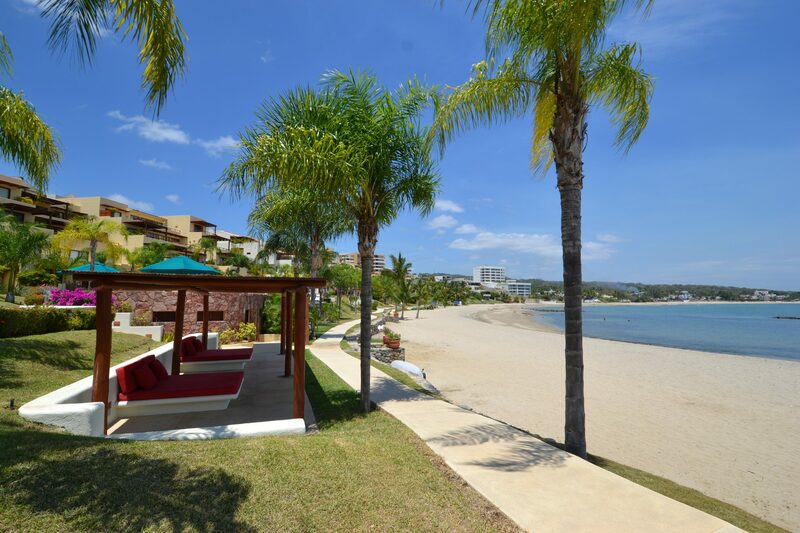 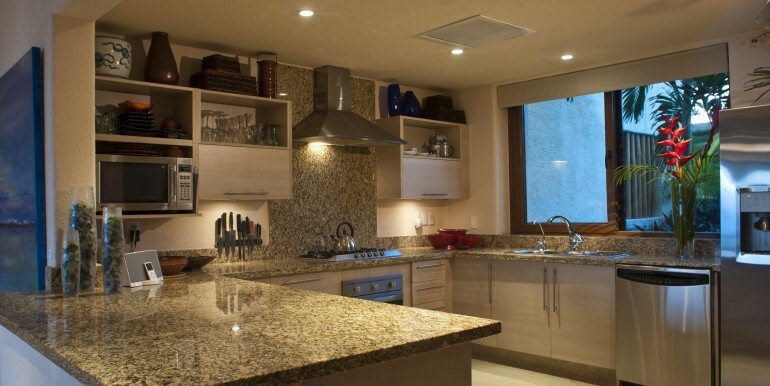 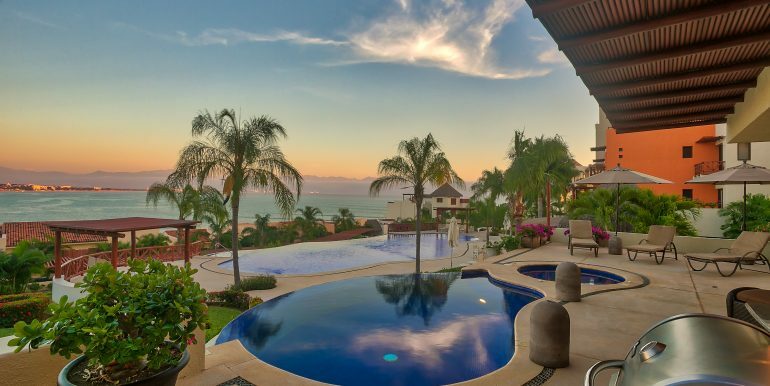 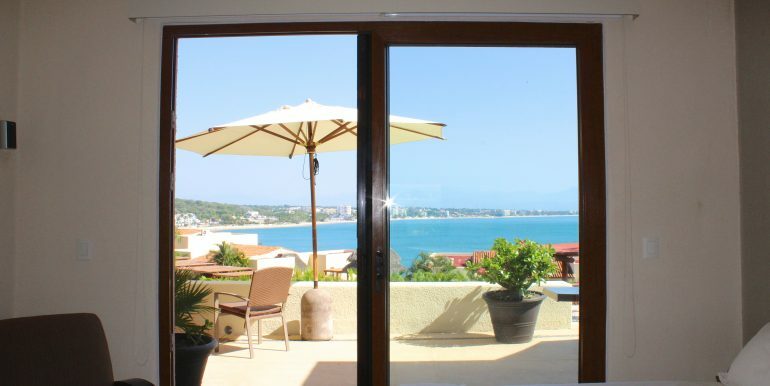 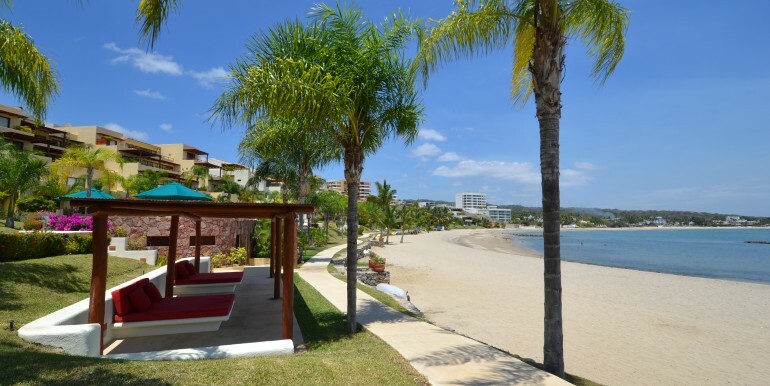 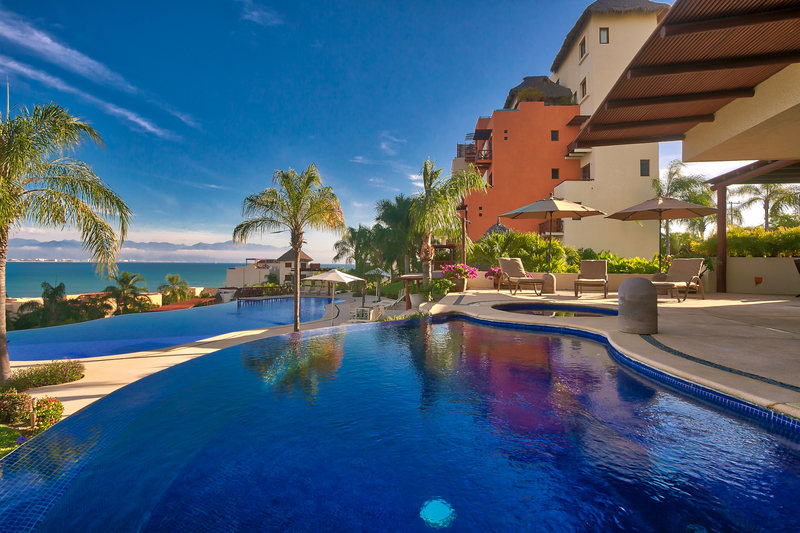 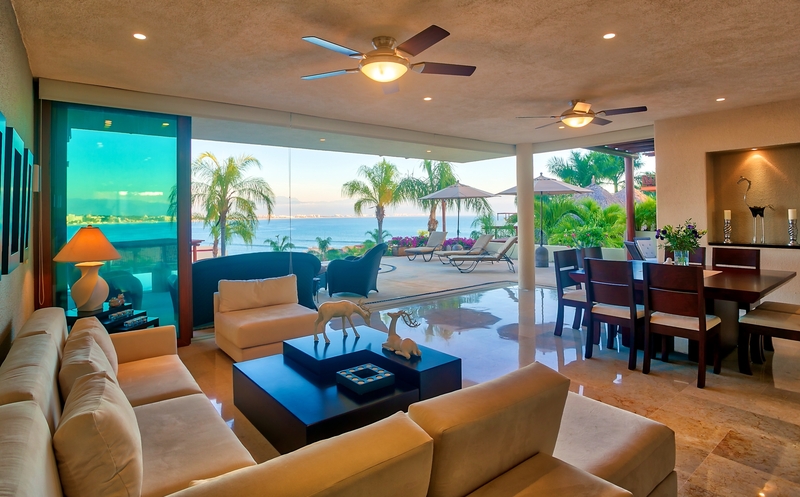 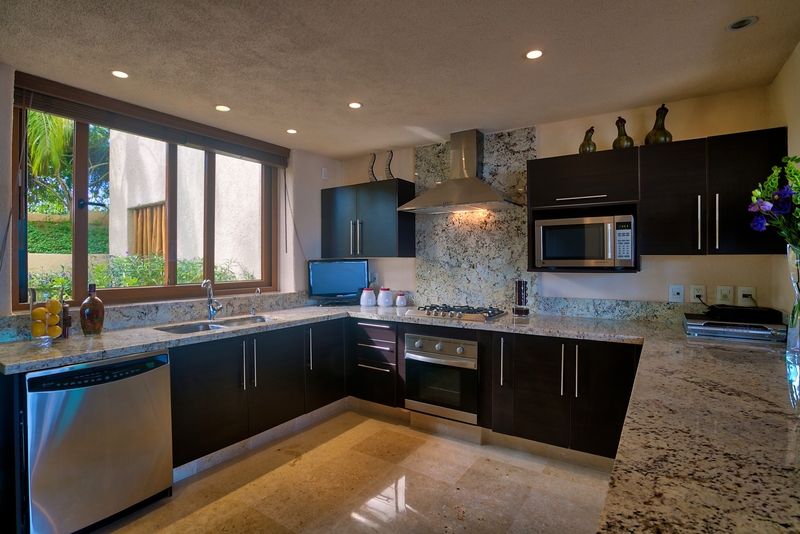 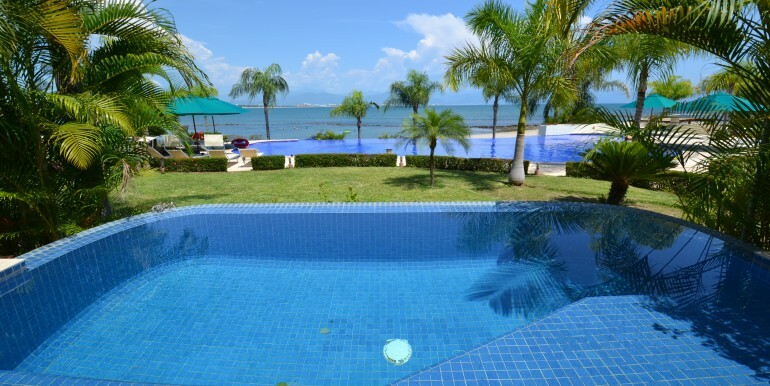 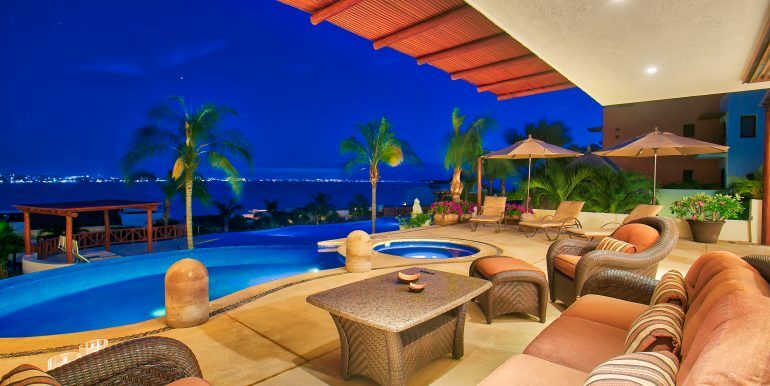 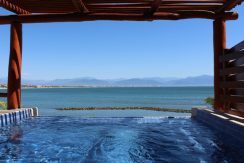 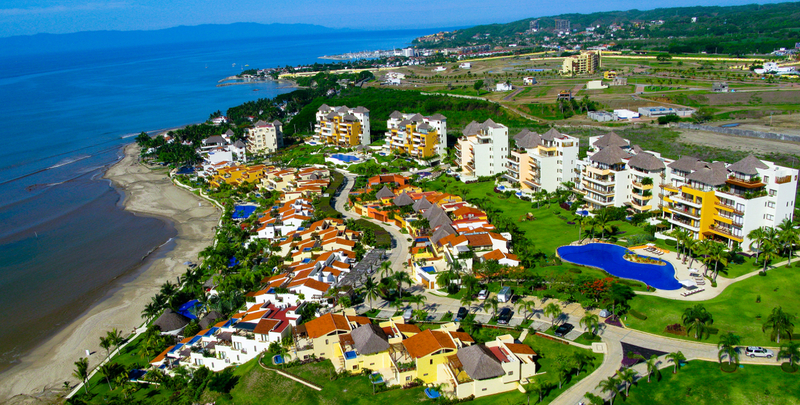 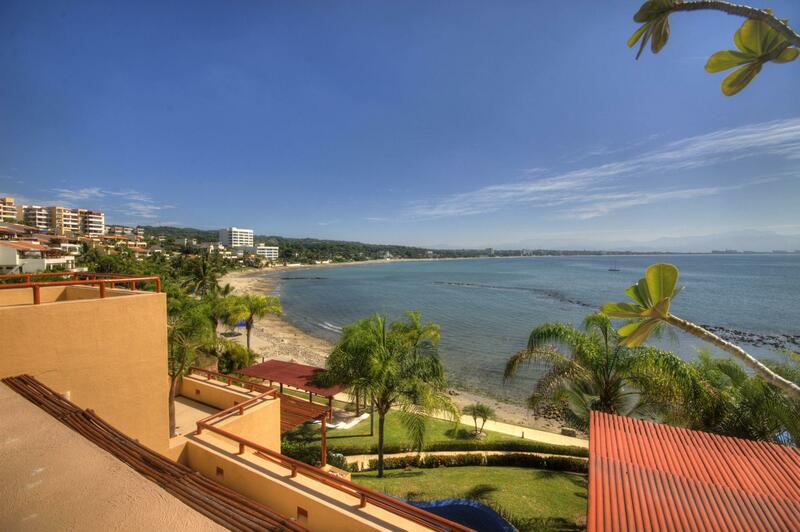 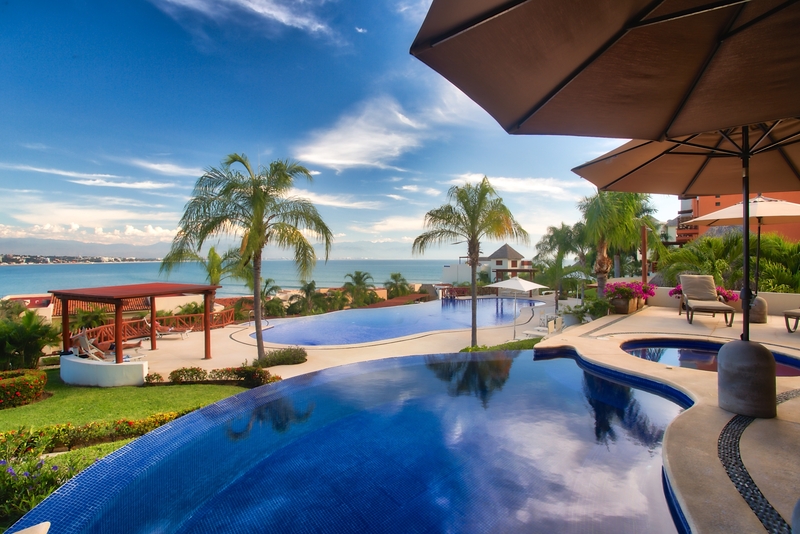 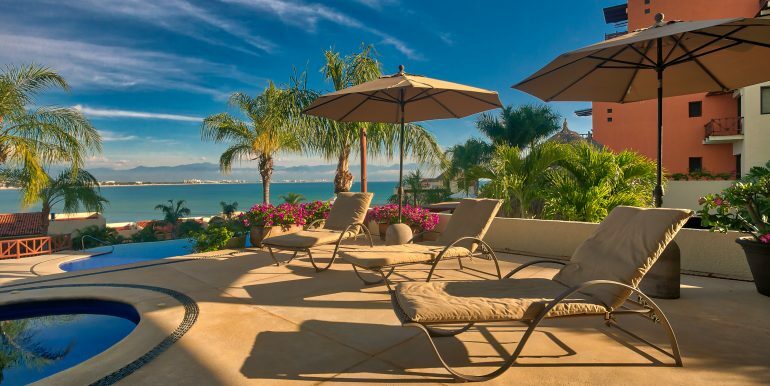 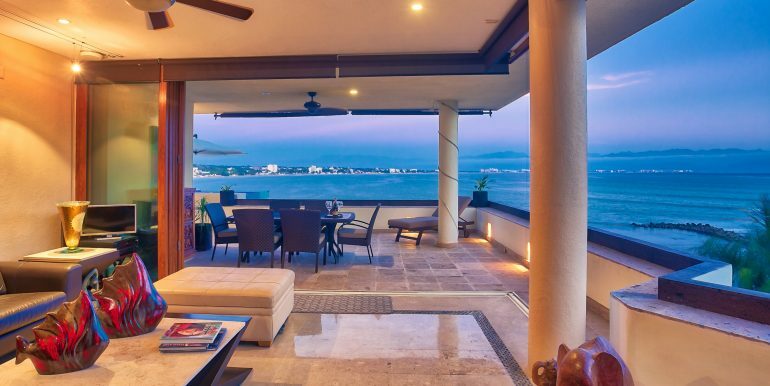 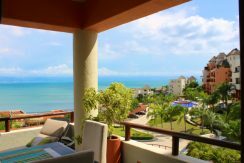 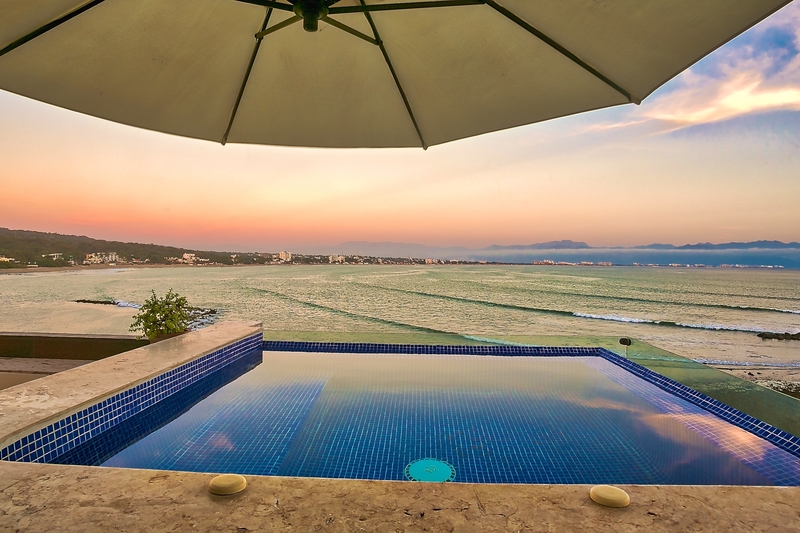 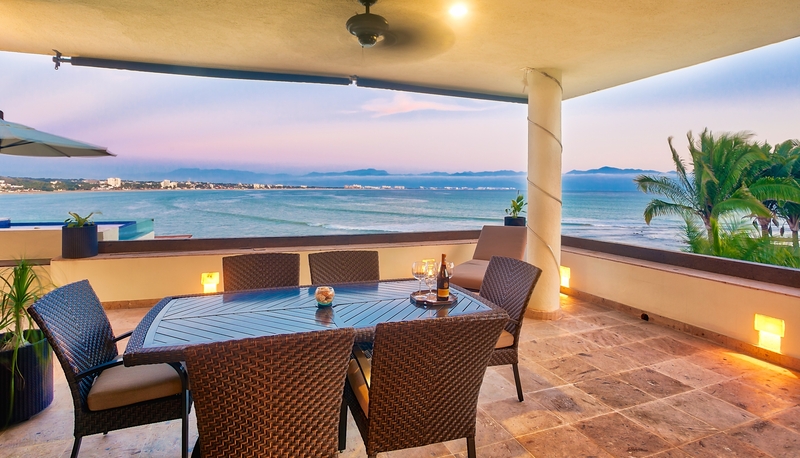 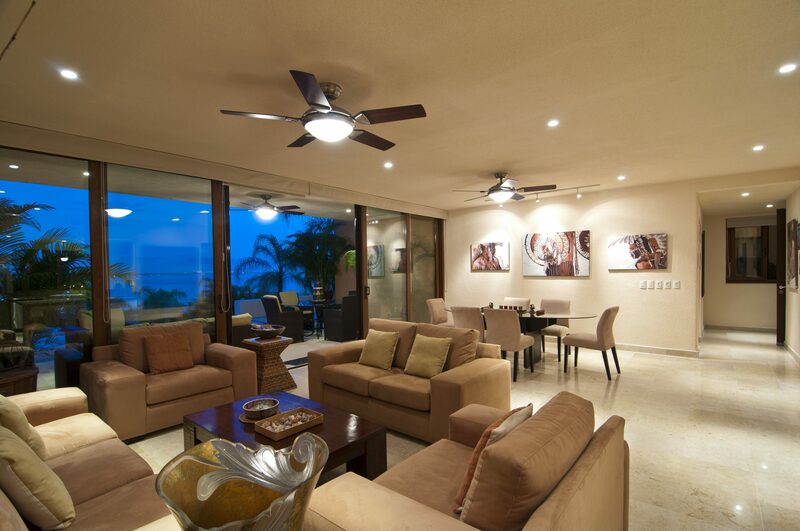 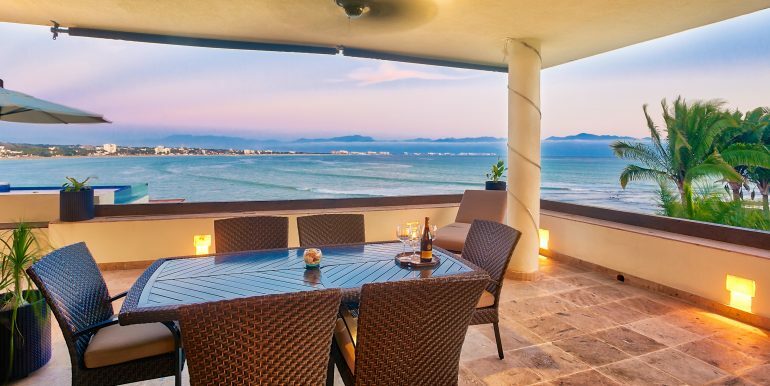 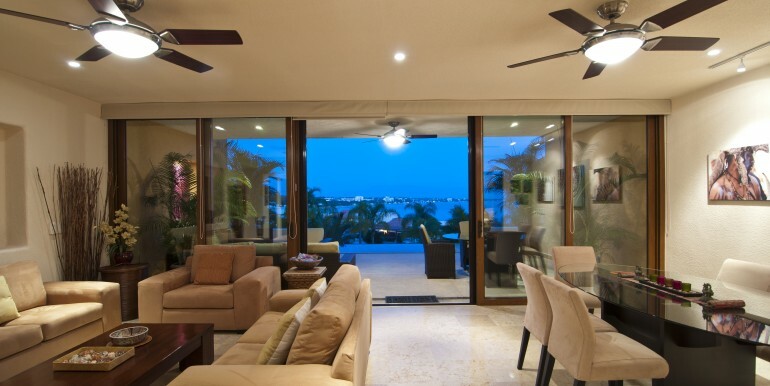 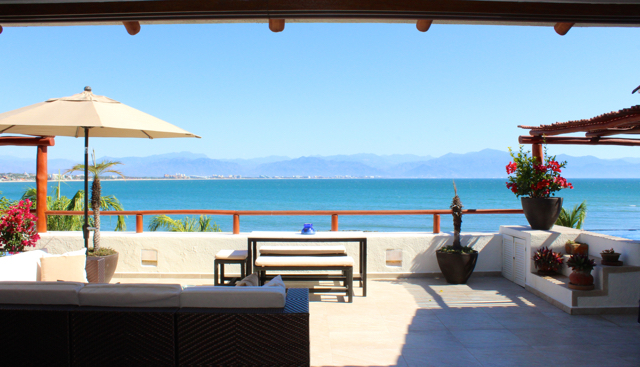 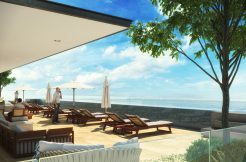 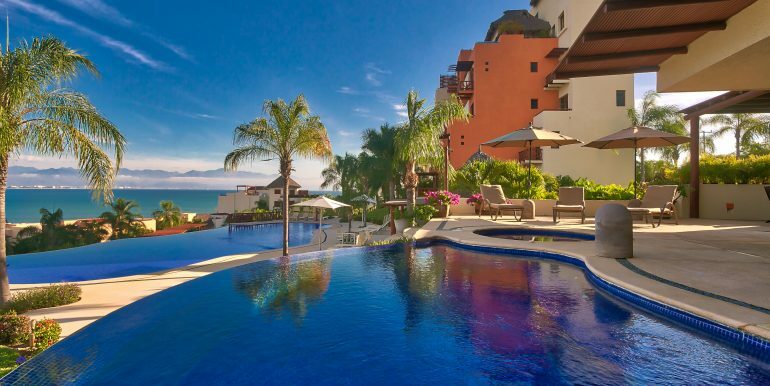 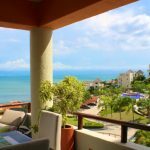 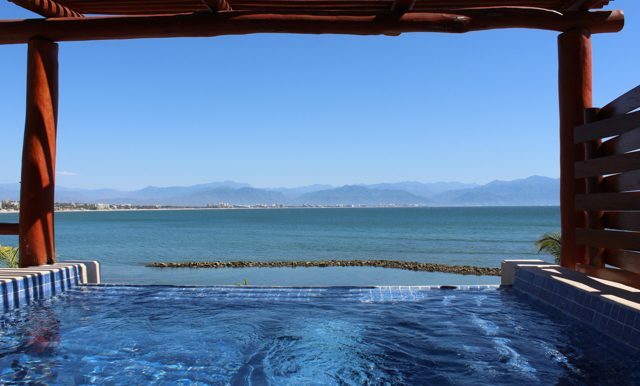 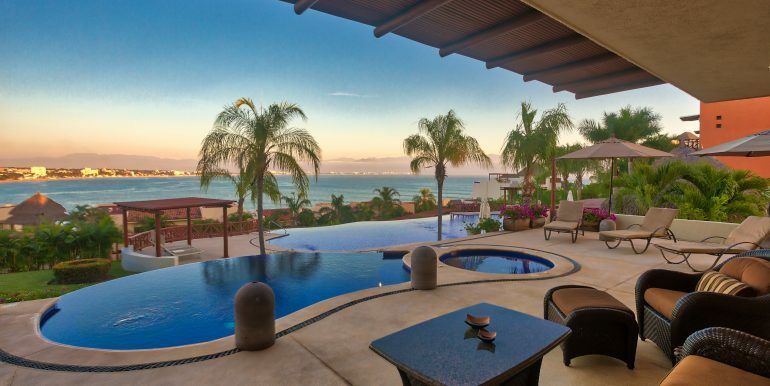 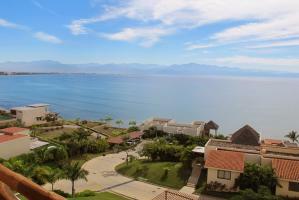 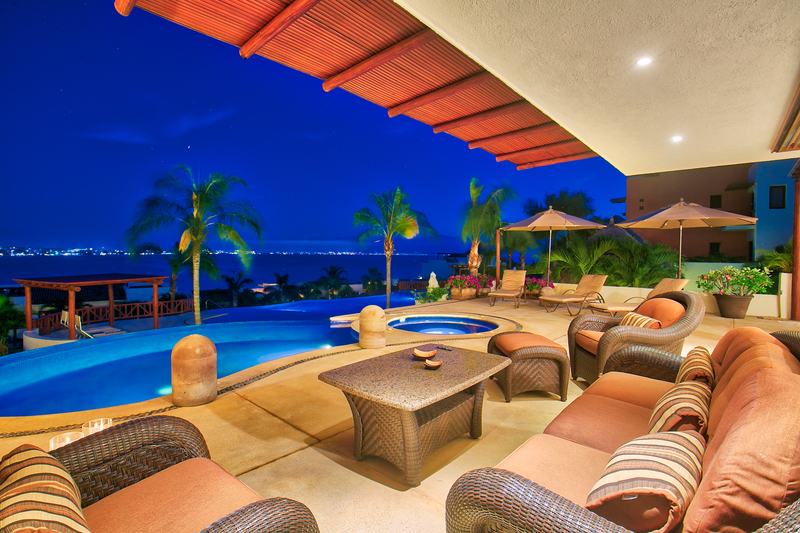 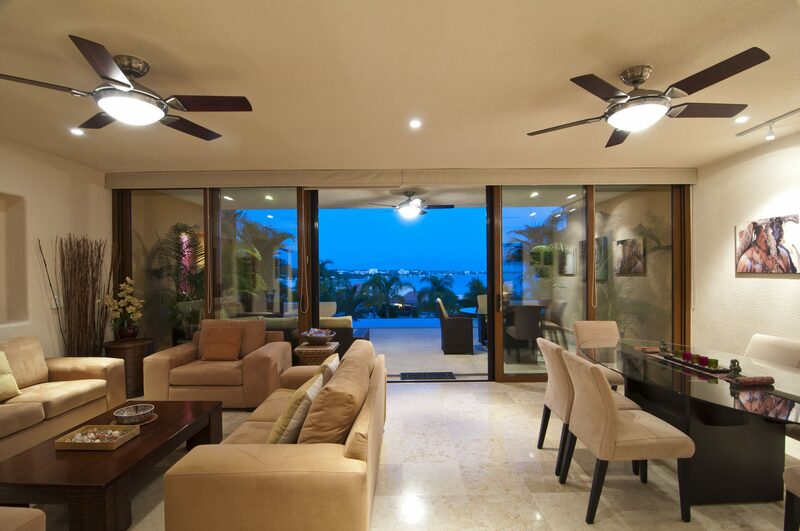 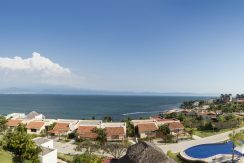 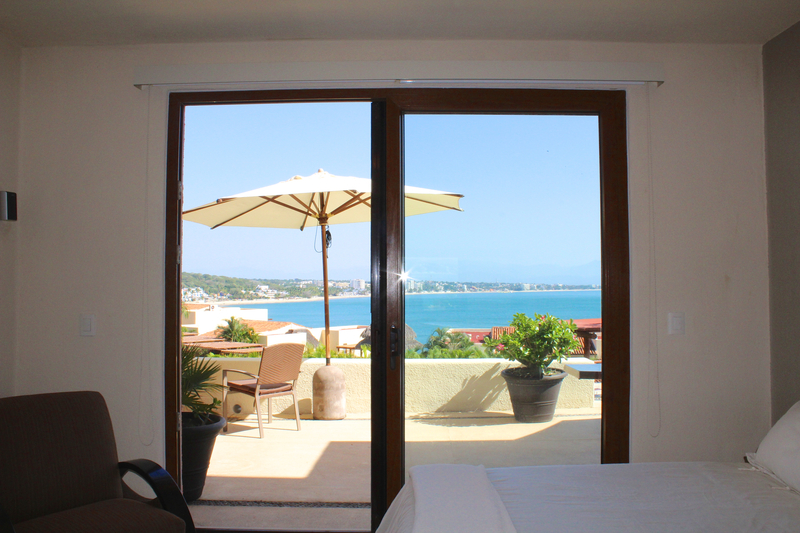 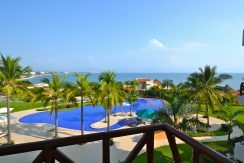 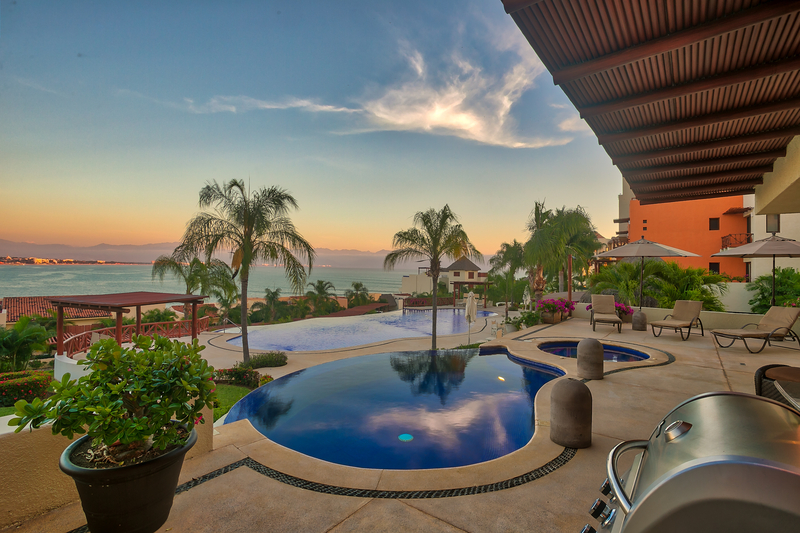 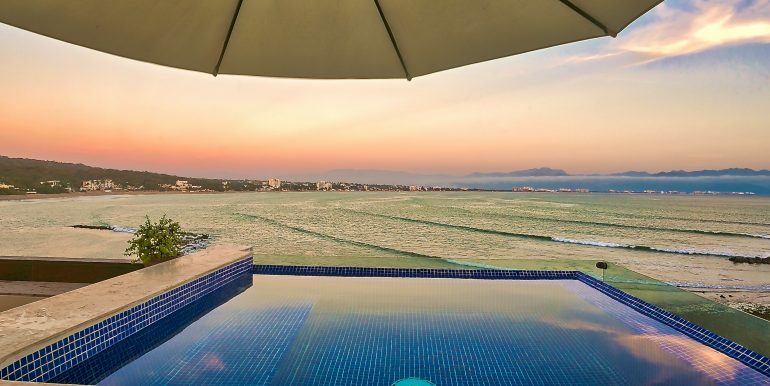 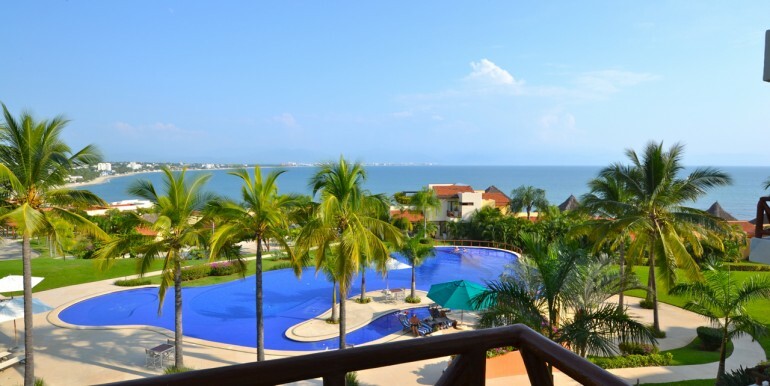 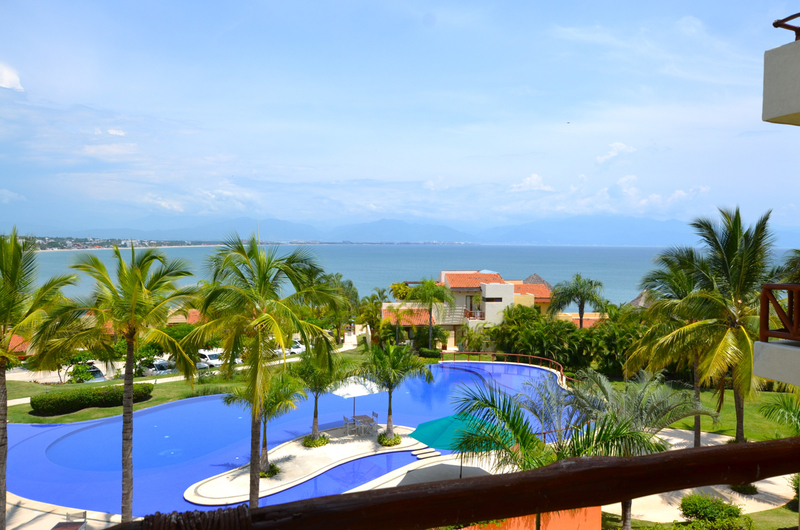 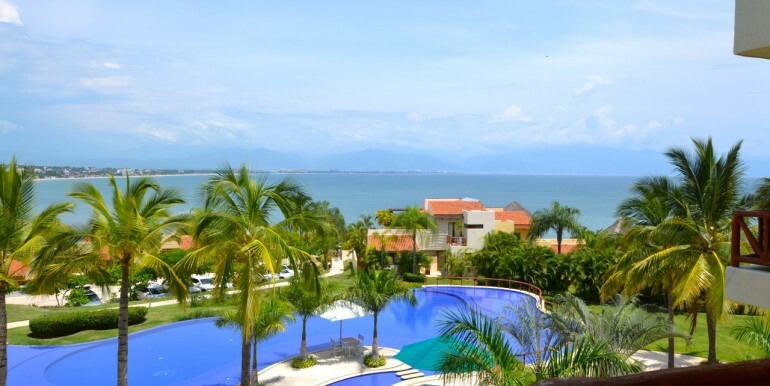 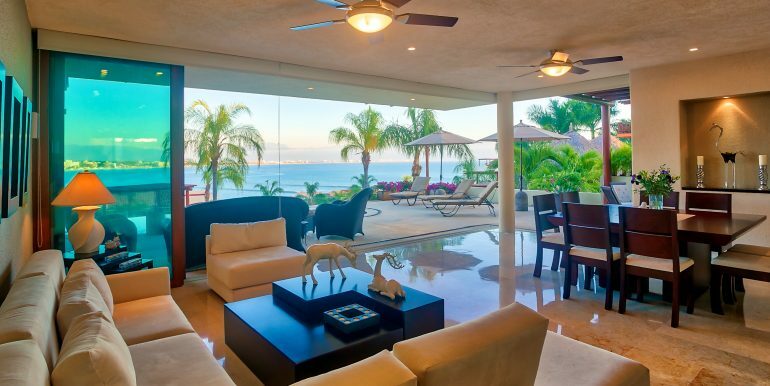 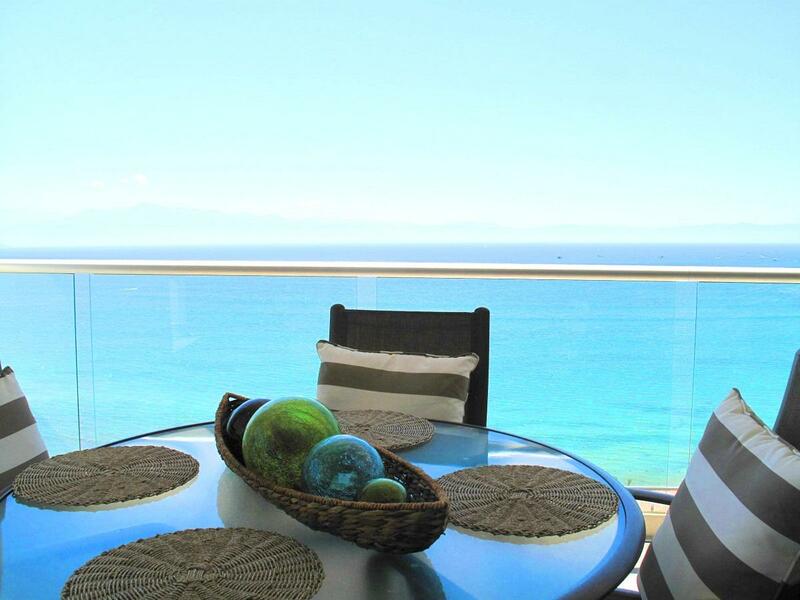 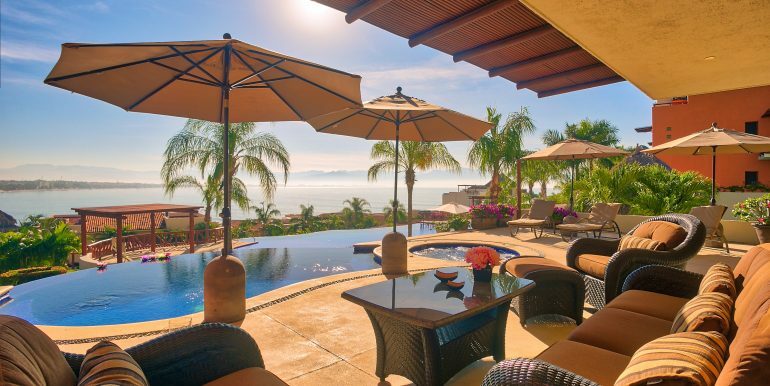 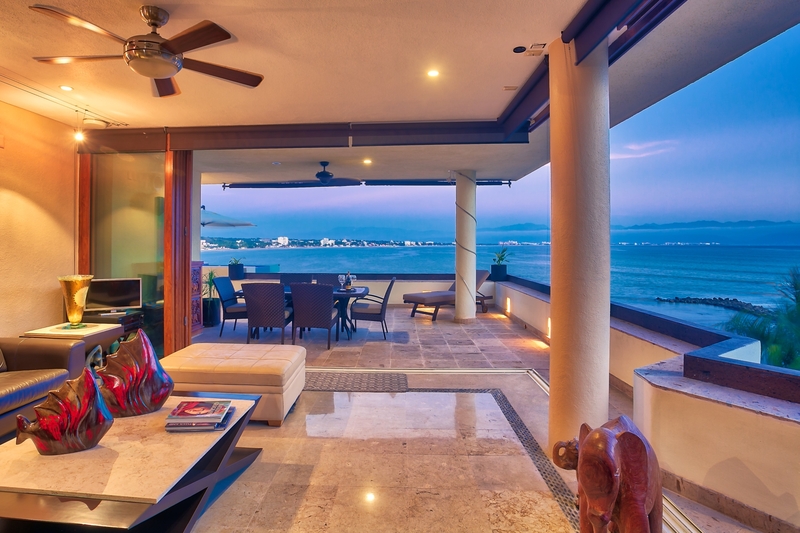 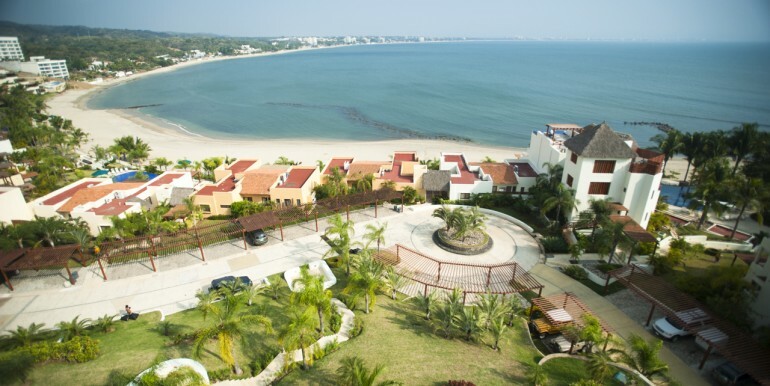 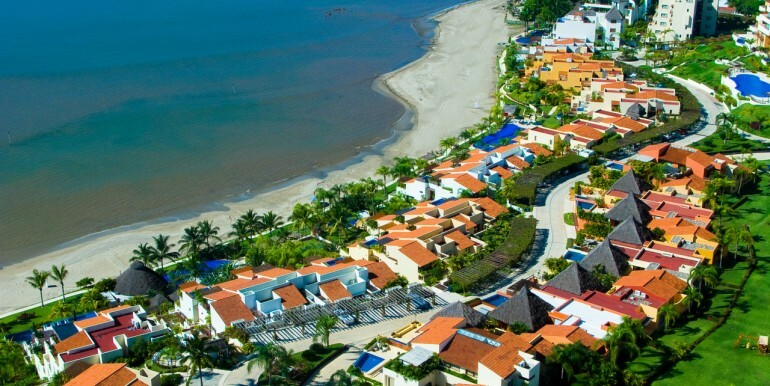 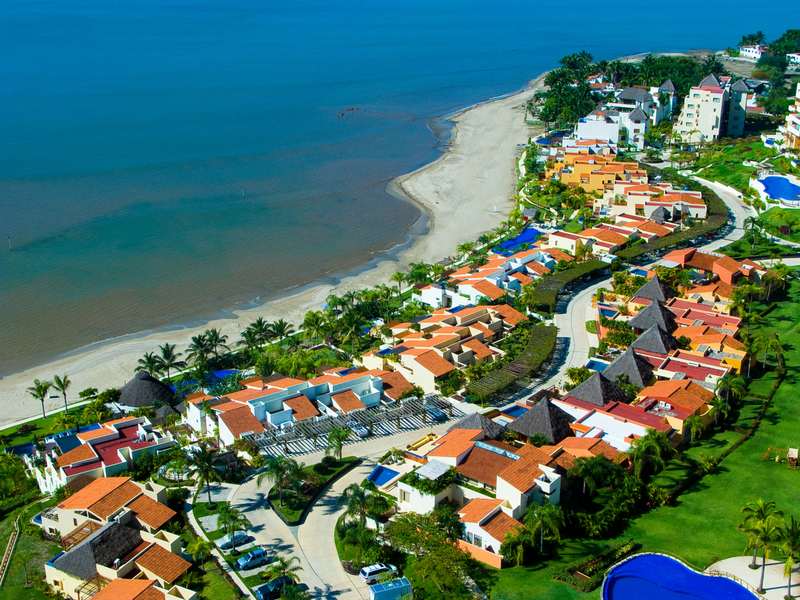 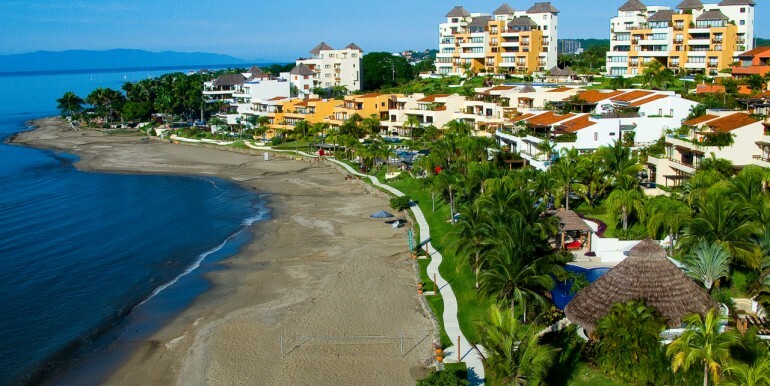 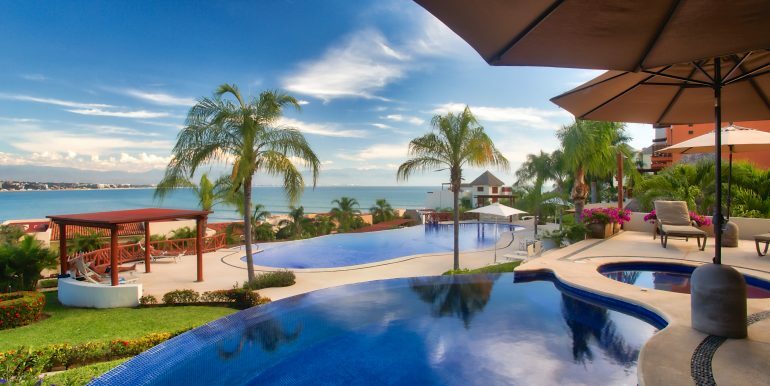 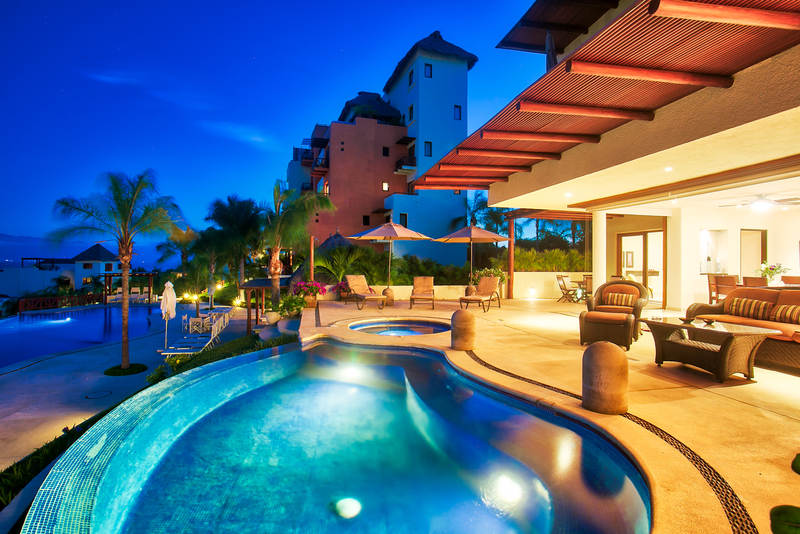 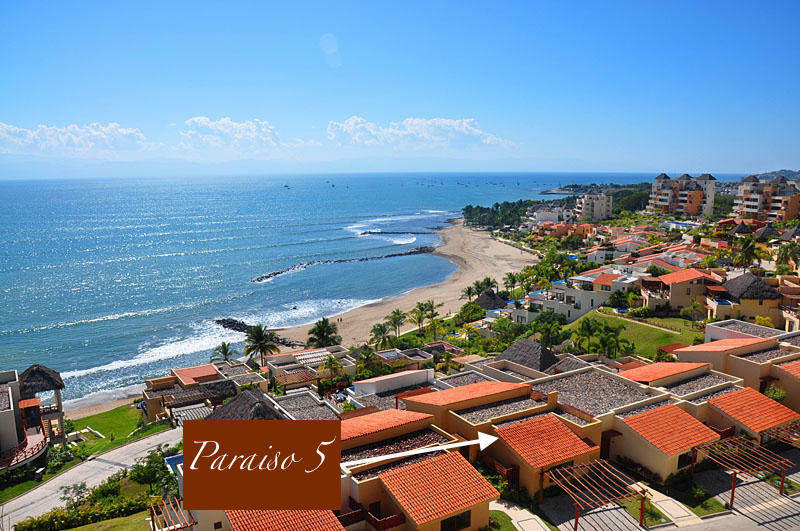 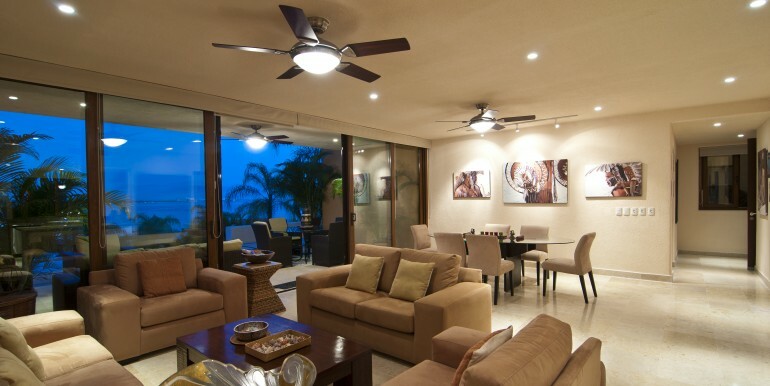 Set on Banderas Bay, between the two authentic towns of Bucerias and La Cruz with Puerto Vallarta in its view, the masterful interior urban plan exploits the landscape, giving each and every residence and ocean view. 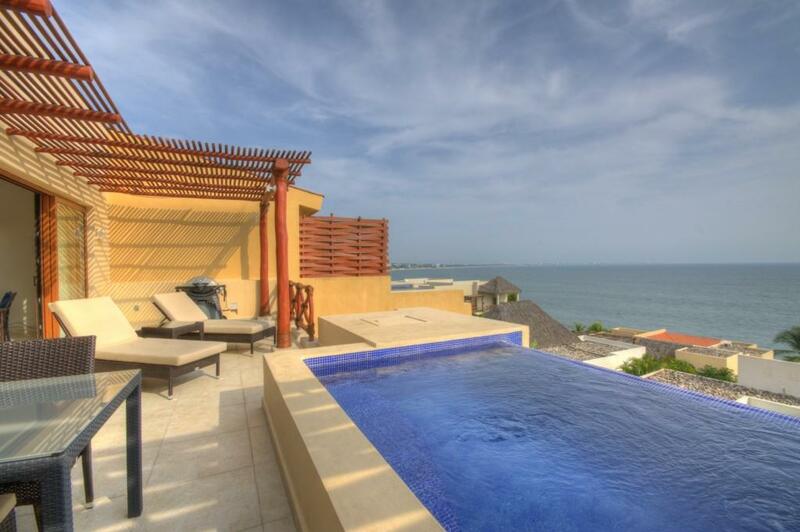 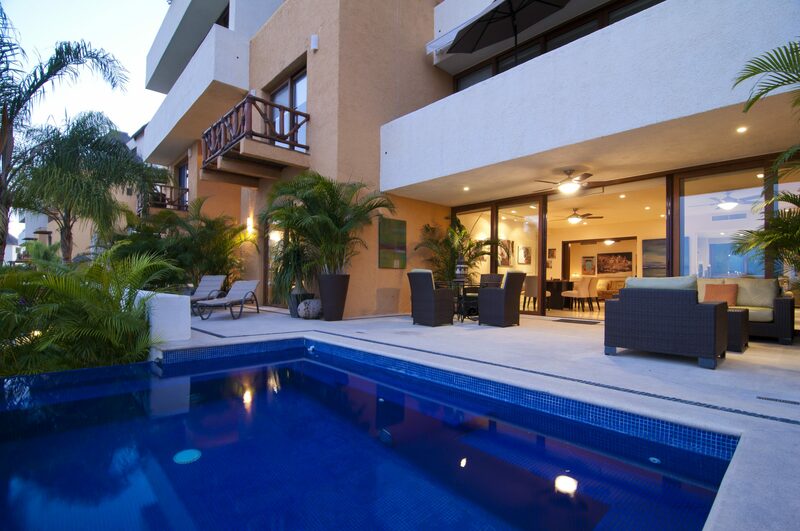 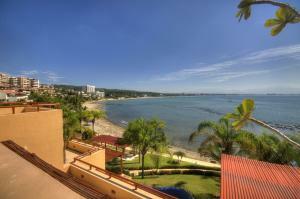 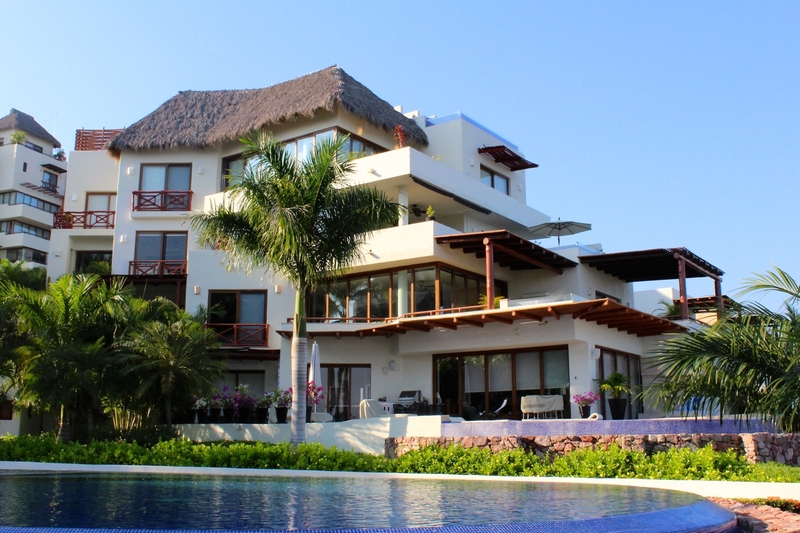 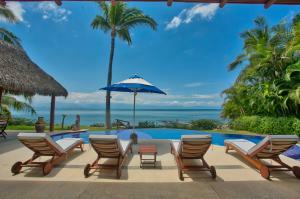 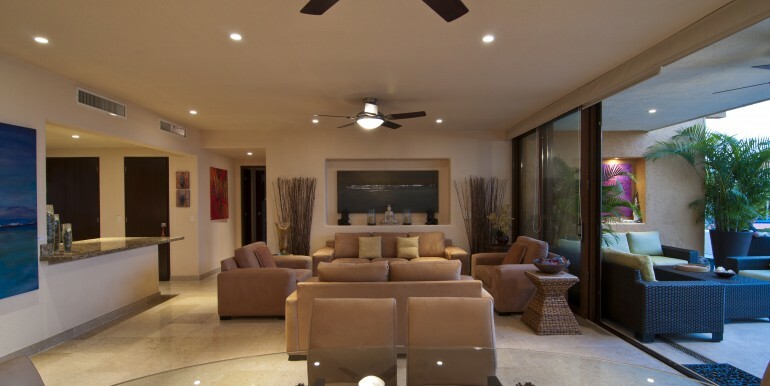 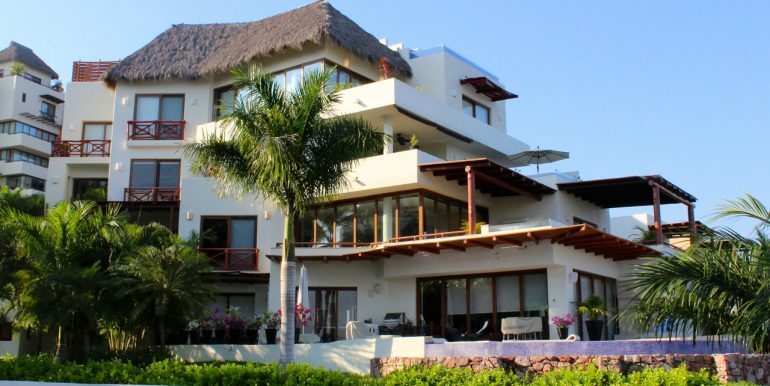 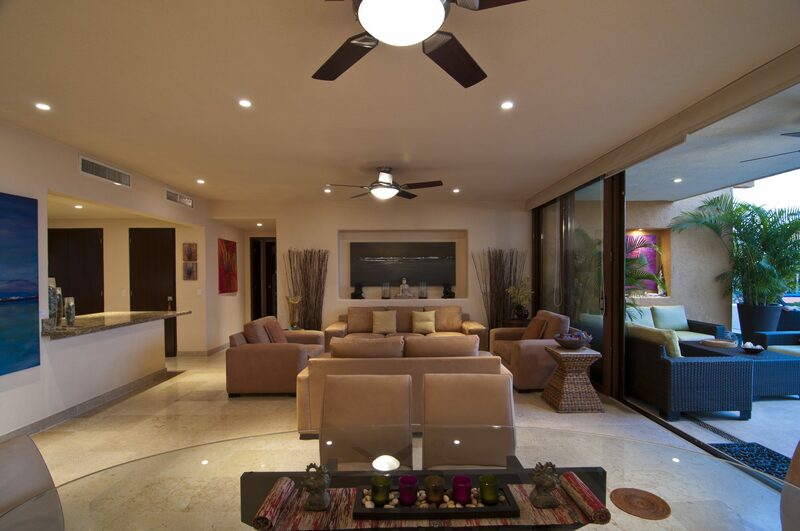 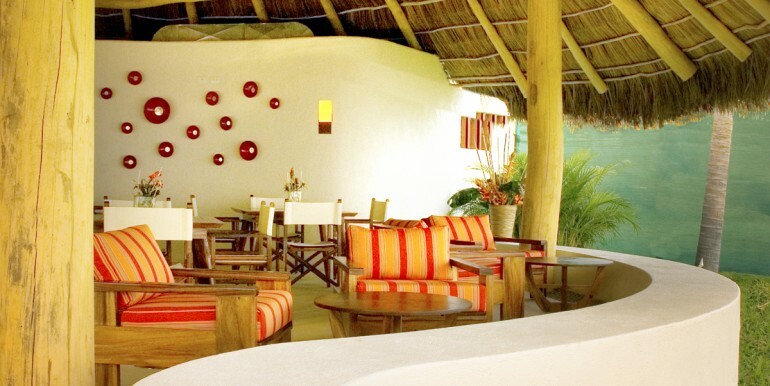 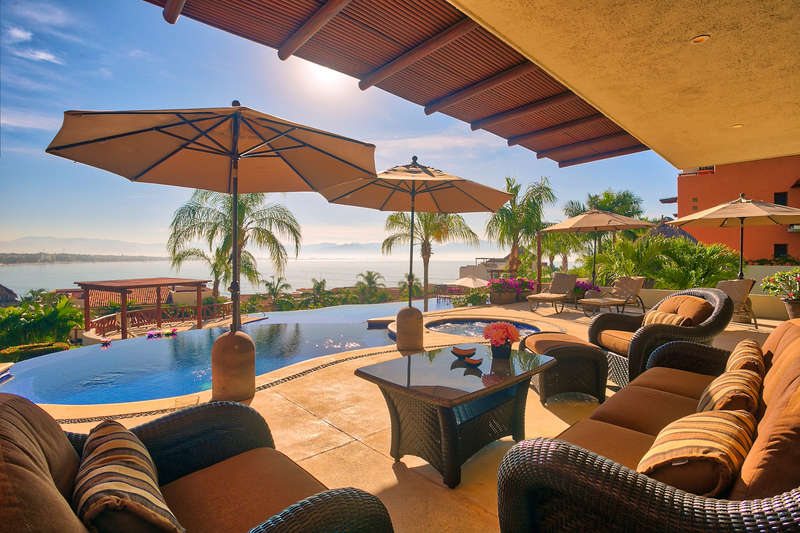 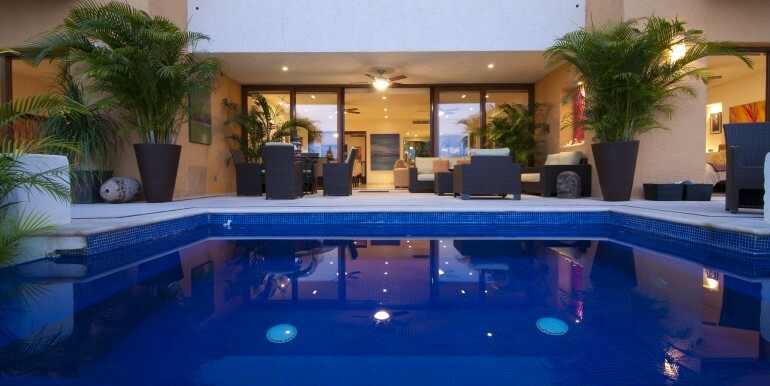 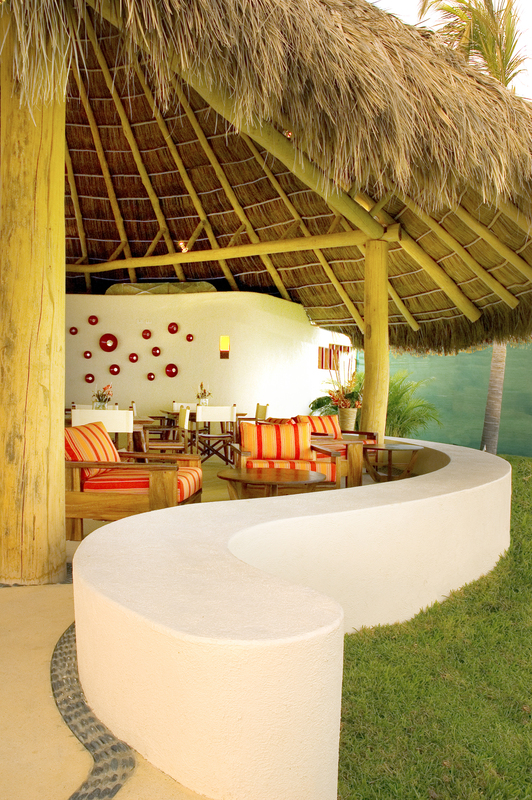 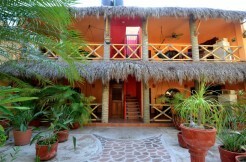 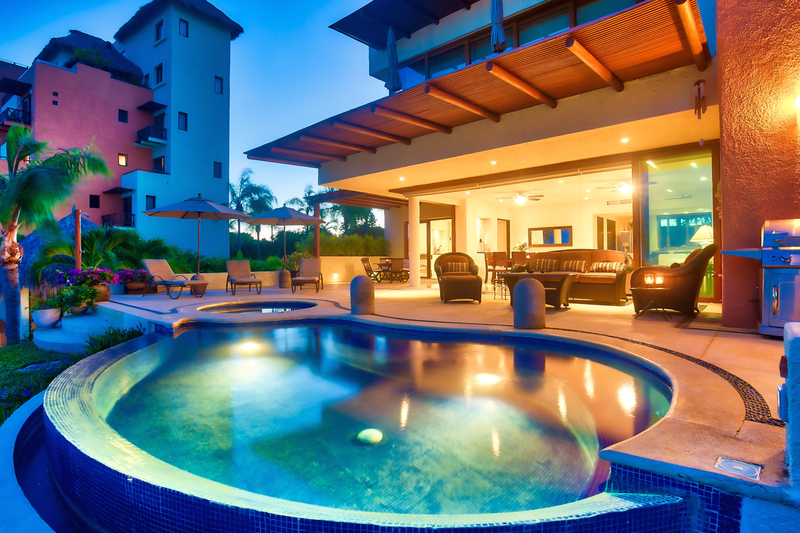 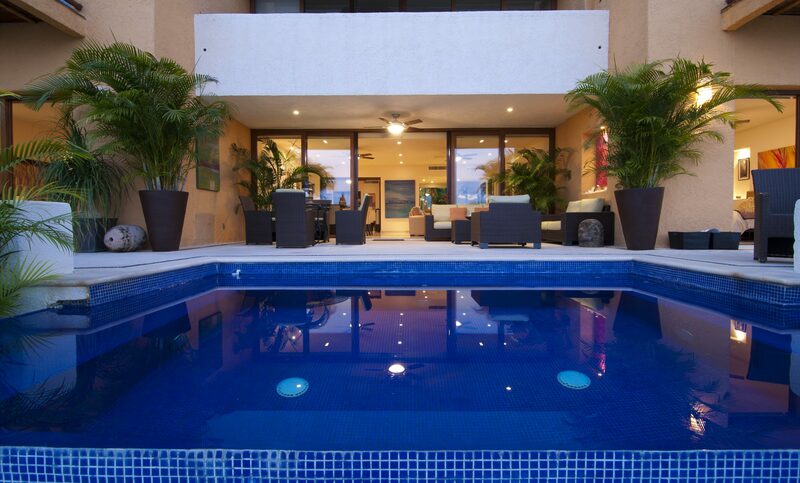 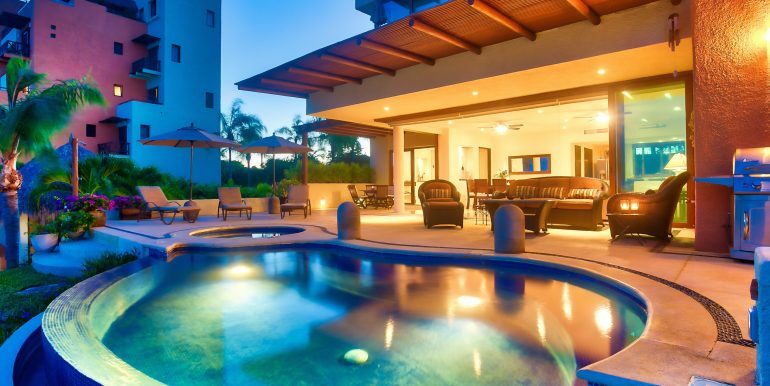 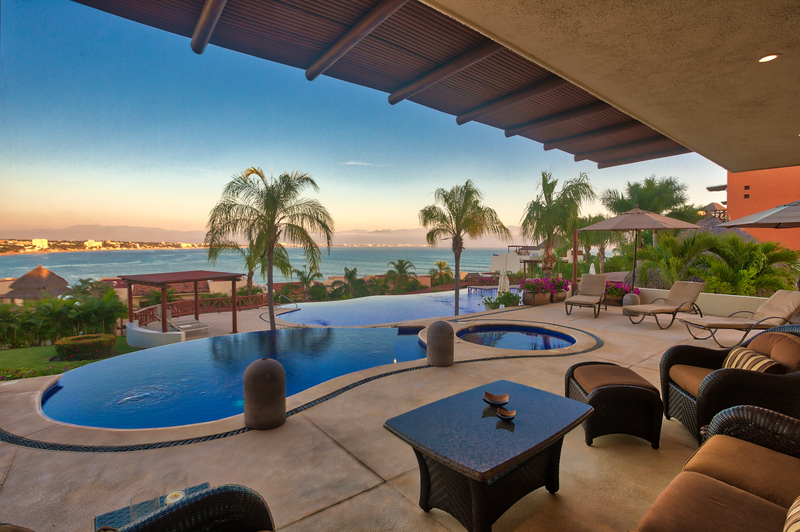 Its contemporary Pacific Mexican architecture shall remain timeless and alluring. 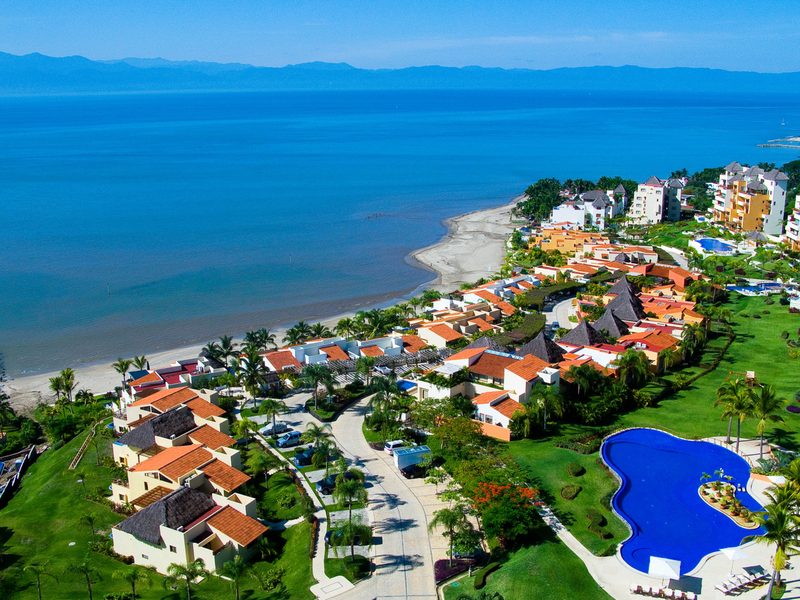 One can walk for miles on its flat, wide beach. 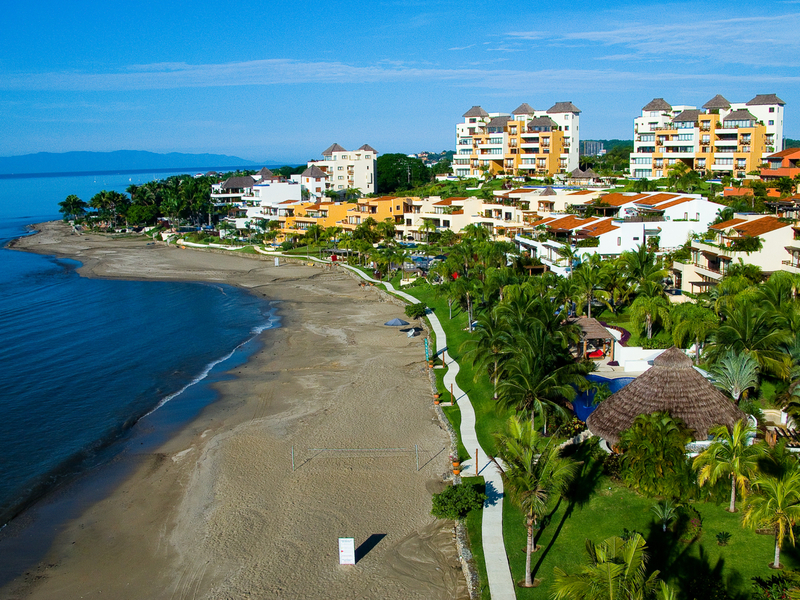 The waters are ideal for stand up paddle boarding and the perfect level of seasonal breezes makes the longer stretch a top kite surfing spot. 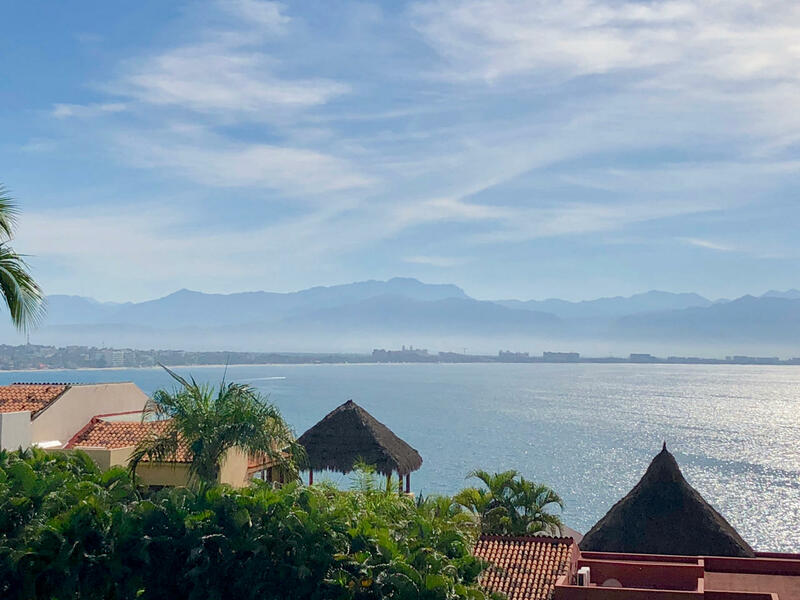 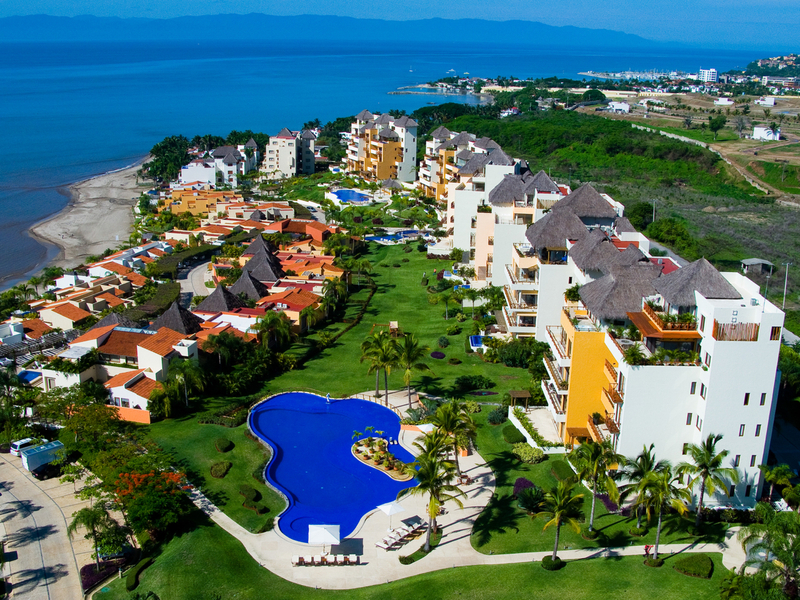 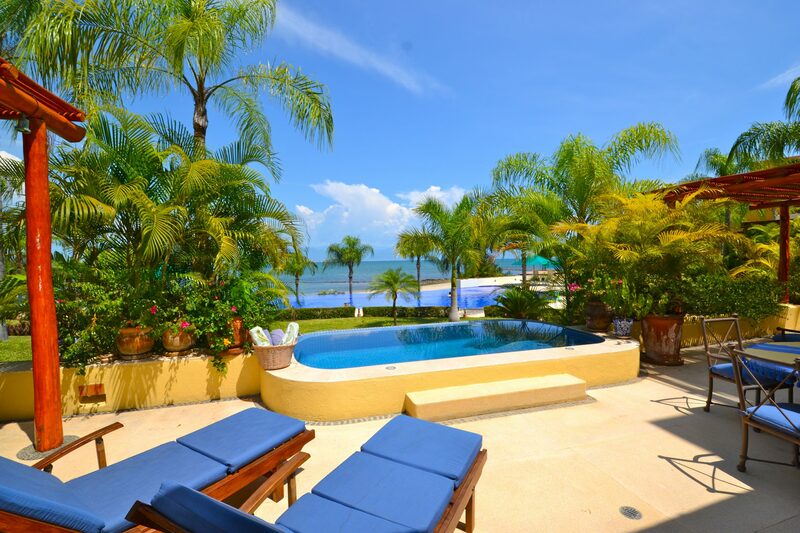 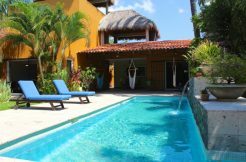 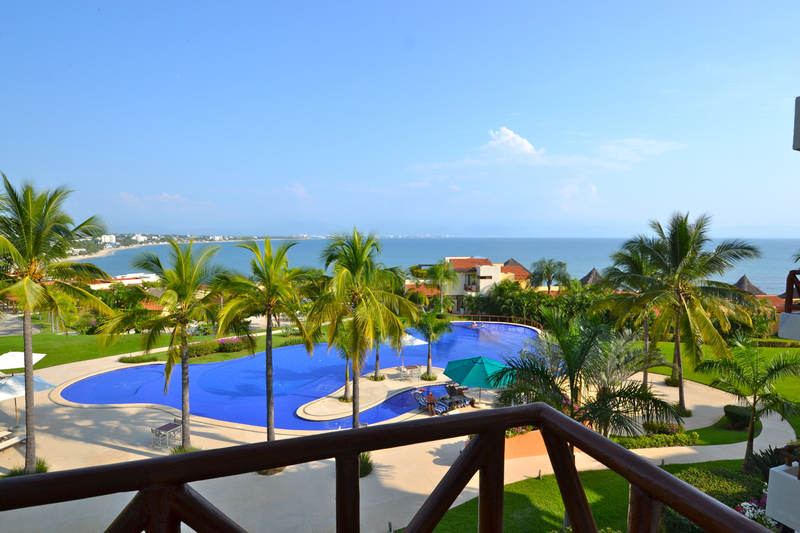 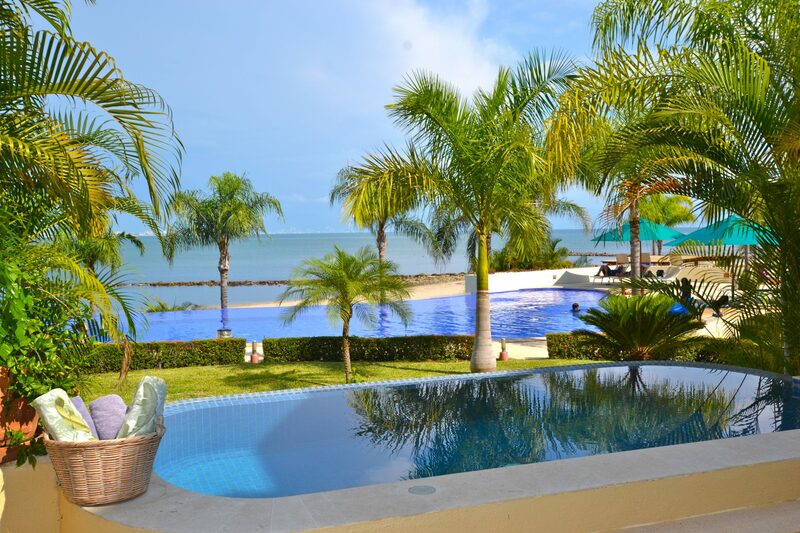 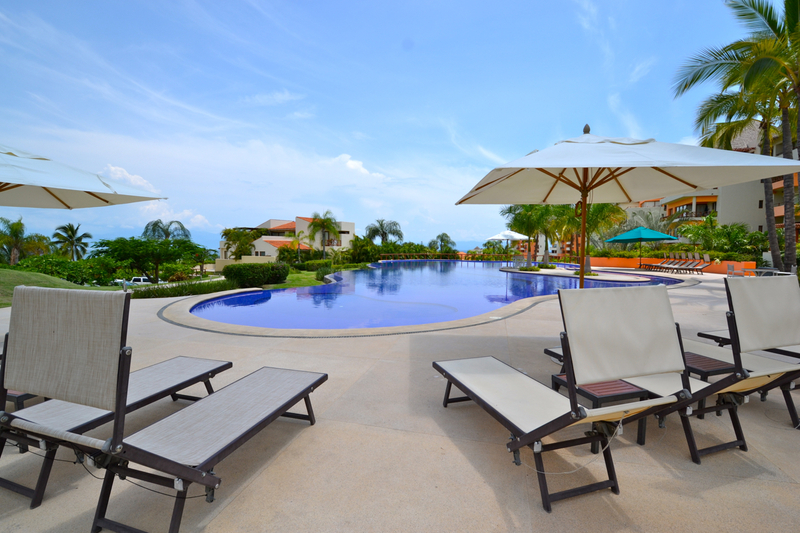 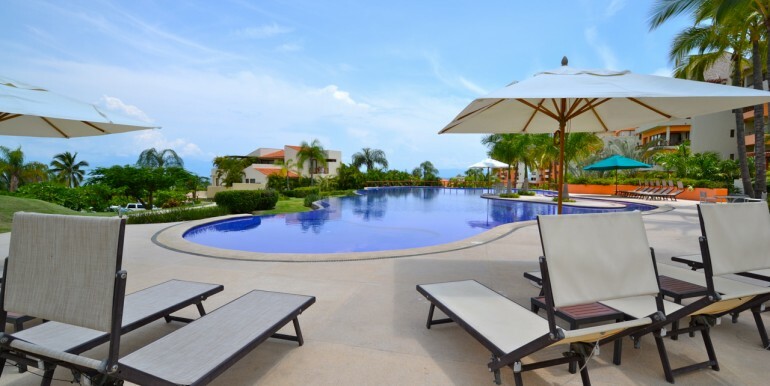 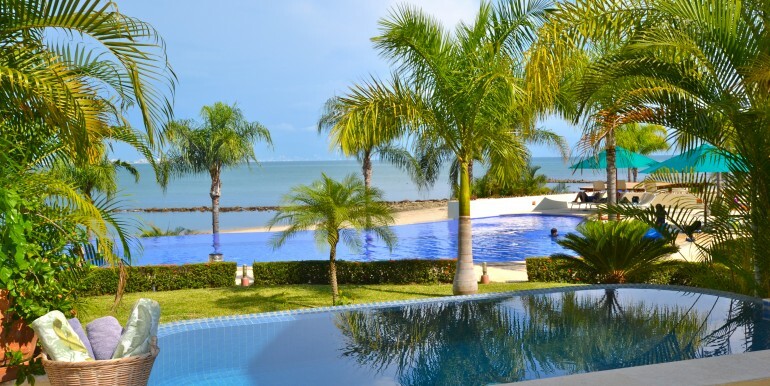 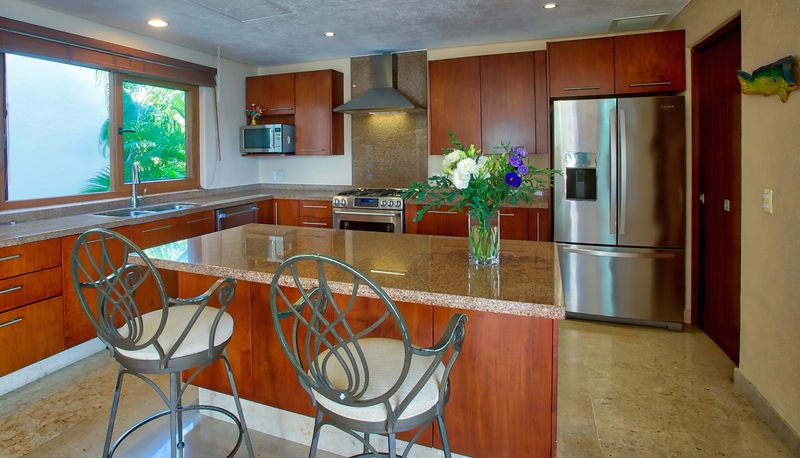 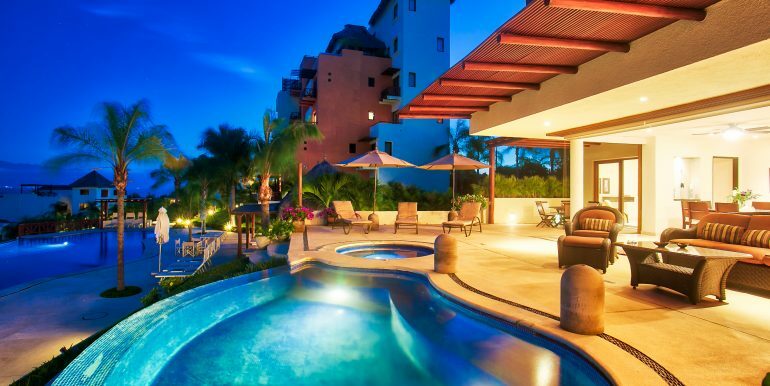 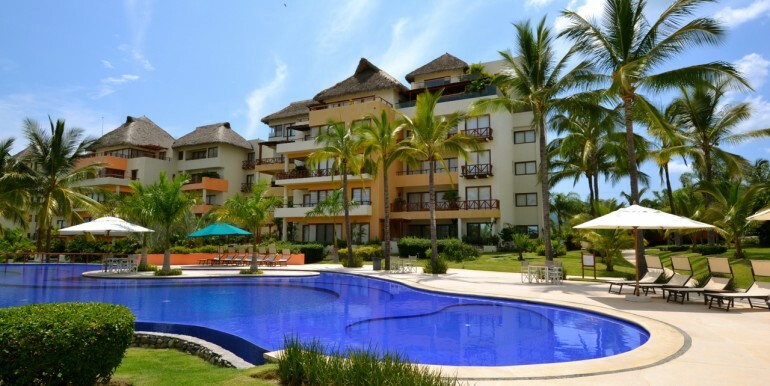 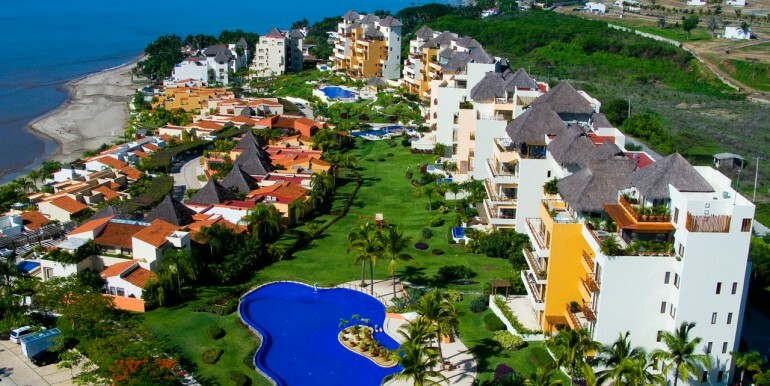 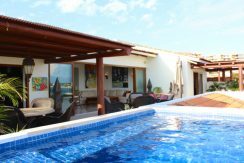 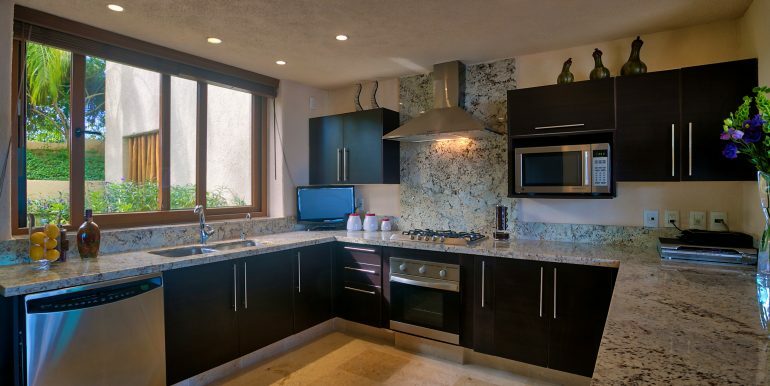 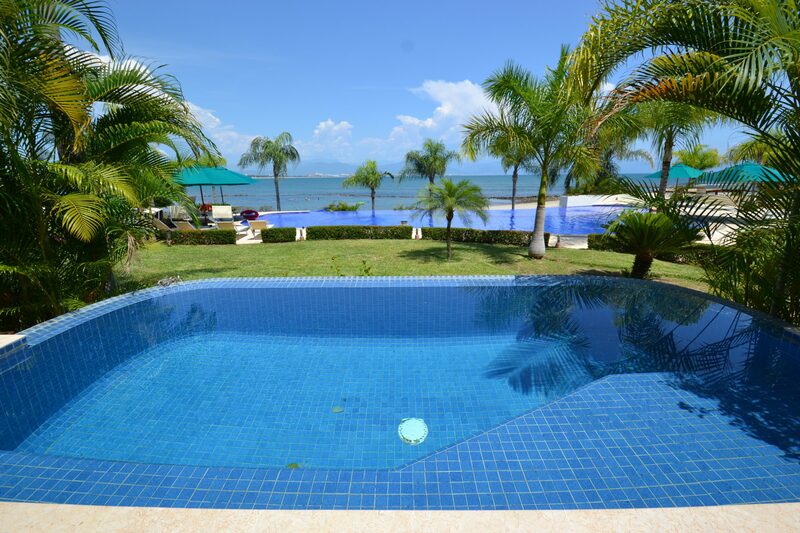 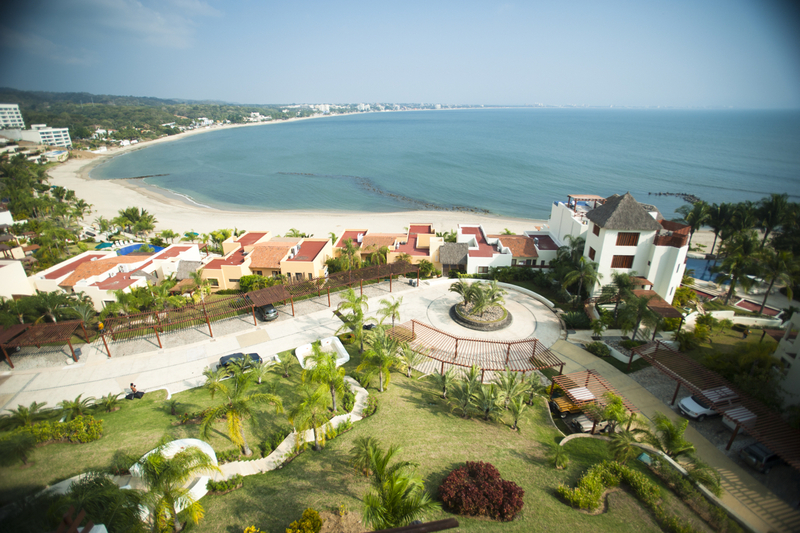 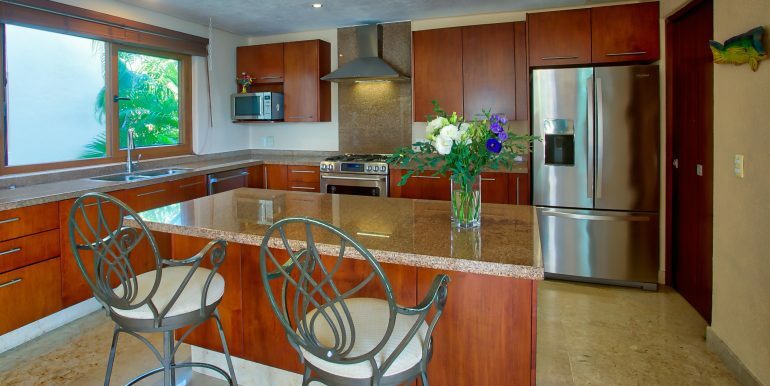 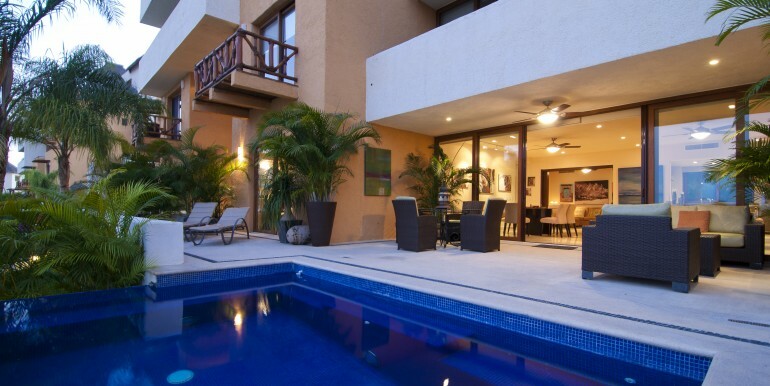 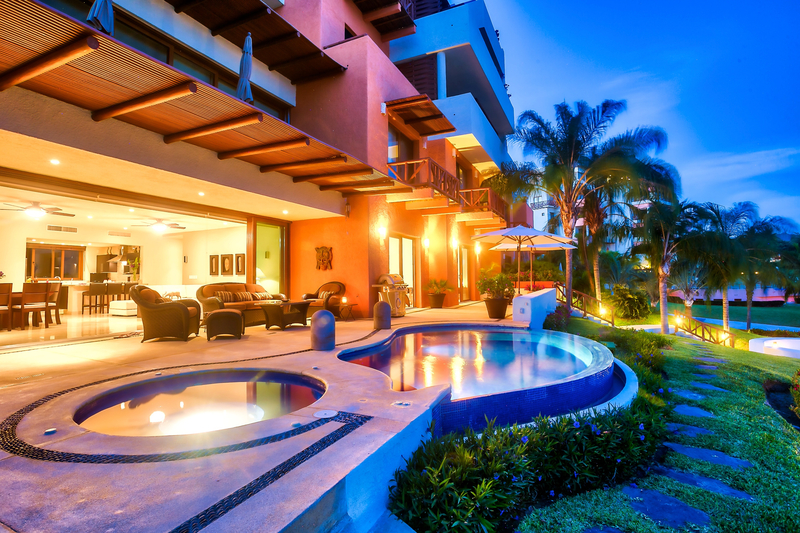 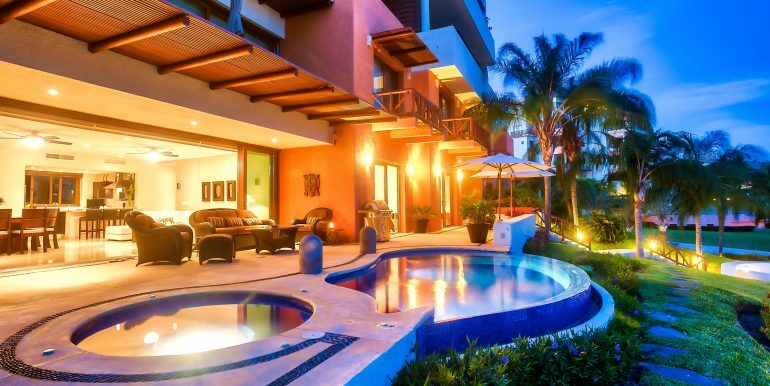 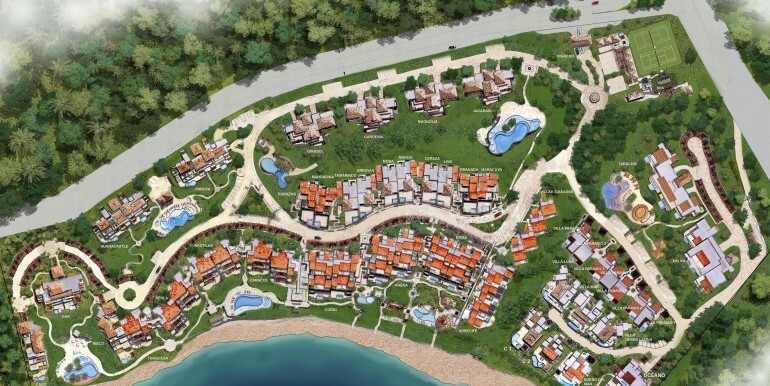 Within 20 minutes of Puerto Vallarta International Airport, this gated community is at the hub of other popular beach towns making for unending outdoor, dining, shopping, music and art activities. Excellent financial control, including energy and cost savings modernizations, keep this resort’s condo fees welcomingly low. 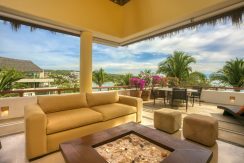 Here one can opt a variety of home styles from two to four bedroom condos, semi-detached townhouses of varying configurations and medium and large villas. 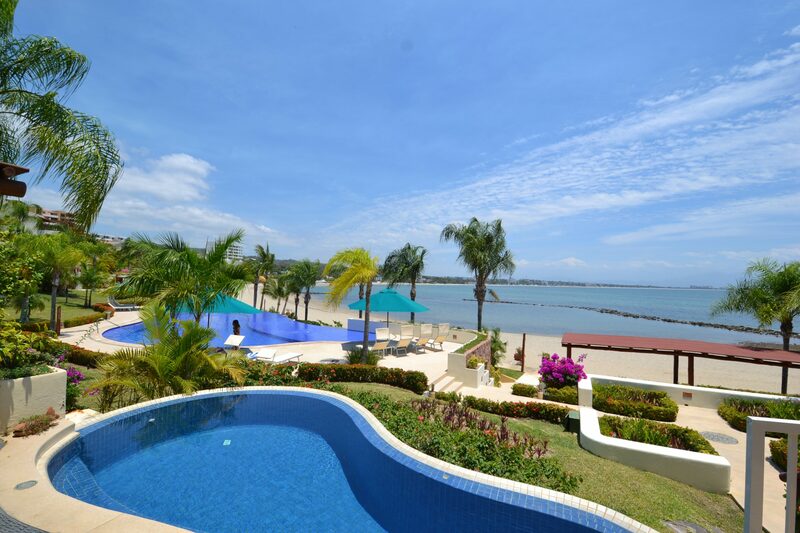 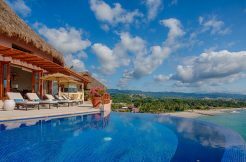 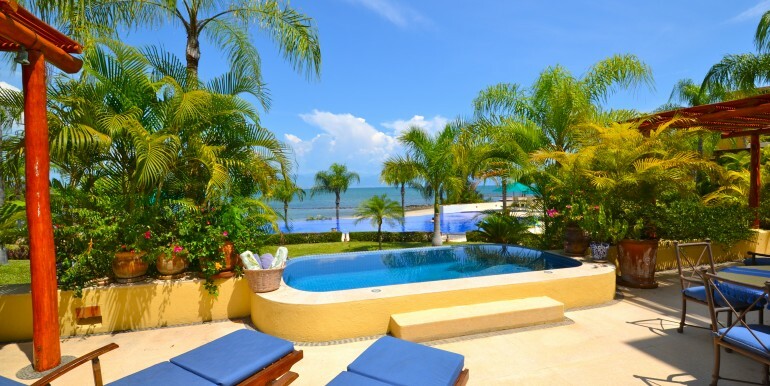 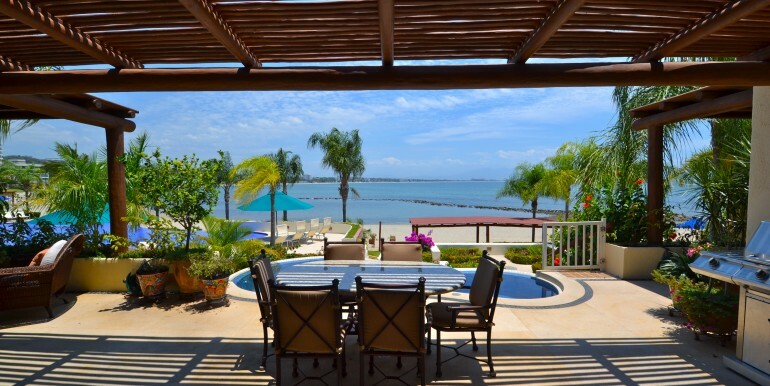 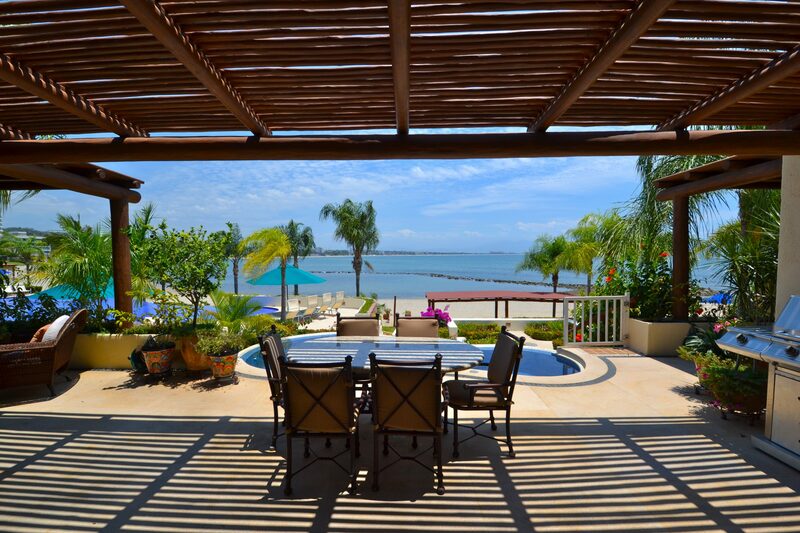 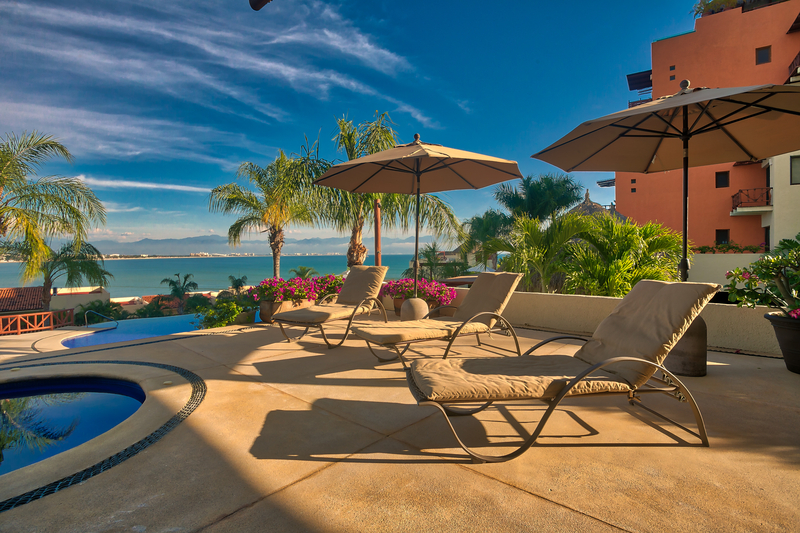 The layout of this oceanfront community affords all property types ocean access with some units located right at the waterfront and others set off ocean with expansive views. 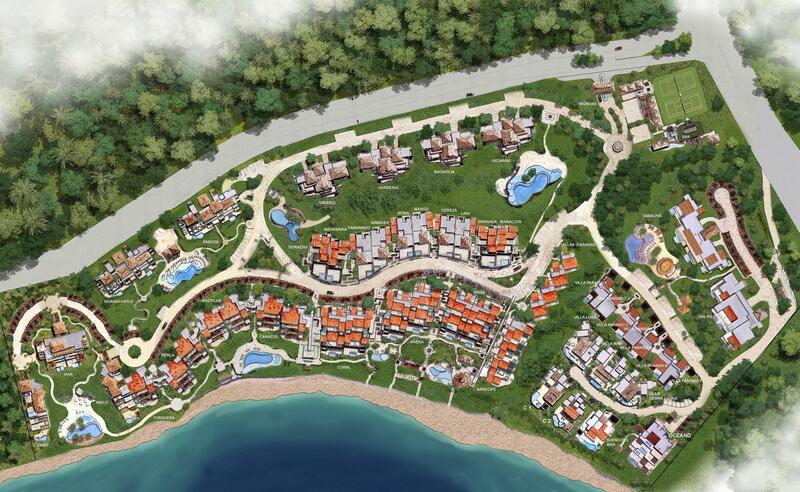 See master plan for its unique layout.